Today we can help you discover the whole of Nepal and we offer high quality, excellent value, small group adventure holidays to all regions of Nepal. This river is one of the smaller tributaries of the Sun Kosi and is a lovely tight boulder strewn river with crystal clear water. The river rises on the southern slopes of a mountain called “Dorje Lakpa”, at 6990 metres high. You will enjoy nice continuous white water with class 3 and 4 rapids all the way down to the confluence of the Sun Kosi River. Paddle the Balephi Khola river taking in stunning views of Everest on a clear day. The Balephi Khola is one of the smaller tributaries of the Sun Kosi and is a lovely tight boulder strewn river with crystal clear water. We will paddle this lovely jewel of a river down into the Sun Kosi. Take out after fantastic days paddling and drive back to Kathmandu in a private bus approximately 3 and half hrs. If you are looking for longer river trips or if there are any other activities we can organise that for you, you just need talk to our friendly staff in our Thamel office. The volume is medium. A fantastic river to warm up on with mostly class 2-3 plus bigger volume whitewater. Rising from the famous holy Mt. Kailash in Tibet the Karnali River is Nepal’s Wild West River. It is the longest and largest river in Nepal. It carves through the Himalayan landscape into many beautiful gorges and canyons as it flows down into the forests of west Nepal. Travel through some of the most pristine jungle in Nepal filled with an abundance of wildlife. You may see tigers, deer, monkey and many species of birds. The river is very popular for fishing with many different species. The area is relatively unpopulated and has a real wilderness feel. Rapids such as ‘Rattle and Roll’, ‘Inversion’, ‘Juicer Shake’, ‘Freight Train’ and many more will provide plenty of excitement. Camping on sandy beaches and the remote feel of the Karnali River will give a true expedition experience. Draining off the Northern slopes of the Annapurna Mountains, this “airborne and raging river” is steep, technical and not to be underestimated! This spectacular whitewater adventure shares some of the most exciting rapids in the world with views of some of the most beautiful mountains in the Himalaya. Offering two days of intense, challenging and continuous crystal clear whitewater rapids, it is no surprise that this is one of our most popular trips. This river demands 100% commitment from both guides & crew it is a great challenge. 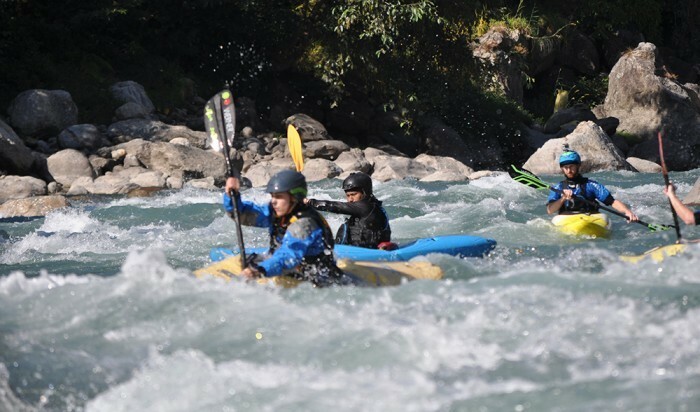 If you are looking for the most exciting short whitewater adventure in Nepal and want to escape from city hustle and bustles – then look no further this one waiting is for you. When you arrive into Kathmandu airport, you will be met by the Adventure Hub Nepal Expedition Leader and transferred to the hotel to relax or recover from jetlag. In the evening, we will have a welcome dinner and talk about the trip. Spend the day fitting your boats, getting them to your liking and getting ready for our multiday trip journey! In the afternoon, approximately 5 to 6pm we will hold our pre-departure meeting and get everything prepared for our journey ahead. Paddle the Balephi Khola River taking in stunning views of Everest on a clear day. The Balephi Khola River is crystal clear water and is a lovely tight boulder garden filled river. We will paddle this lovely jewel of a river down in to Sun Kosi River. Take out of the river and drive with private bus to Kathmandu s approximately 2 and half hrs. Stay overnight night at hotel, relax have a nice hot shower. Have breakfast and then walk to the bus stop (approximately 5 minutes) and then pack the bus ready for the first river trip of your holiday in Nepal. Drive approximately 2 and half hours with private bus to the put in of the Trishuli River. There is also time to enjoy the scenery and wave to the villagers on the calmer sections. Paddle the Trishuli River and take out at Fishling or Kurientar. Have lunch and pack up the bus and drive overnight to the Karnali River put in point approximately 15 hours. Arrive at Karnali River put in point and have lunch pack our rafts and get organized for multiday river expedition. Paddle down a few kilometres and camp. Day 5-11, Raft/kayak Karnali River. Day 11, afternoon take out have lunch and drive back to Pokhara which is approximately 15 hours drive on our private night bus. Today is our last on the karnali river, will take around mid day and have lunch and drive back to Pokhara which is approximately 15 hours drive on our private overnight bus journey. 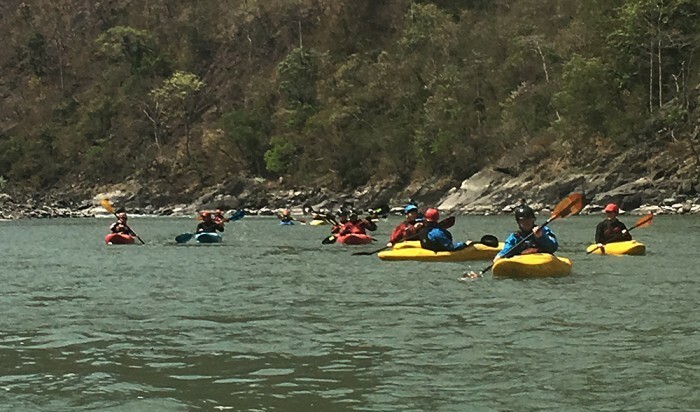 Upper Seti river is only 30 minutes from Pokhara’s Lakeside, this short and sweet rafting adventure offers 1 ½ hours of non-stop adrenaline filled class III+/IV rapids. With fantastic Annapurna mountain views, crystal clear Himalayan white water and a beautiful gorge decorated with a suspension bridge and prayer flags – rafting the Upper Seti River is the ultimate half day trip in Nepal. Sightseeing around Pokhara Valley today we will do a half day sightseeing of Pokhara Valley (Bindhabasini temple, Devil's fall, Mahendra cave, International Mountain Museum) and second half day you can either do rafting, SUP boarding or kayaking around lake whichever fits you there are many options for water sports for you. Enjoy the amazing view off fish tail mountain and whole Annapurna mountain region from your hotel roof top stay overnight in hotel. 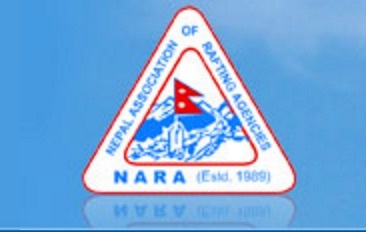 we will meet our pokhara office or your hotel around 6 am and drive to Paundi where will stay night , when half crew seeing up camp other half crew will get ready with pump raft and lunch after lunch we will paddle couple hours off adventure with lovey rapids and scenery as we get to Finish at Turture for today and drive back up to Paundi for our night. when we get to Dam where will finish our adventurous day have lunch and load everything’s in to the bus drive back to Pokhara is 2 and half hours or back to Kathmandu around 3 and half hours.